Jesus predicted that lawlessness in the last days will abound, leading to that “the love of many will grow cold” (Mt. 24:12). Some who oppose so called “grace message”, use this scripture to warn about the consequences of teaching that Christians are not bound by the law of Moses today. Thereby it is relevant to ask: Are Christians lawless without the law of Moses? “Absolutely”, many who oppose the grace message would say. Before I respond to this, I first want to point out that we are not “without” the law of Moses today in the sense that the law of Moses can still be found in our Bibles. Anyone who wants to get inspiration for holy living from the law Moses is free to enjoy it any time of the day, although I highly doubt this would lead to any good and lasting results. However, in the new covenant we are not under, or bound by, the law of Moses. “Christ is the end of the law for righteousness to everyone who believes”, Paul said (Rom. 10:4). The law was never intended for us who are Gentile Christians; it was only given to the Jewish people for a limited time period, starting with Moses at mount Sinai and ending with Jesus at mount Golgatha. Jesus fulfilled the law so that no one, neither Jew nor Gentile, would ever have to live under it again. But this does not make us lawless. The point with the new covenant was that God was going to write His own laws in our hearts and minds. This takes place whenever someone gets born-again, by believing in Jesus and confessing His as Lord. The law of Moses was indeed holy and righteous and served to show mankind what was sinful, but could never help anyone overcome sin. On the contrary, the very purpose of the law was to strengthen sin and make it abound, to show us that we all, without Christ, are sinners in need of a Savior. From these verses we can conclude that the law of Moses did not lead to less sin; it actually made sin increase! But thank God, what the law could not accomplish Jesus did in us! Once we are born-again, God writes his law in our hearts. He gives us a new and righteous nature on the inside. The key of living holy is not trying to live after the law of Moses, but to live in a continual love-relationship with Jesus Christ. Laws and paragraphs might be able modify our outward behavior temporarily, but cannot permanently change our hearts. Only God’s unconditional love can transform us, inside out. What group of people did Jesus treat most harshly during His time on earth? The scribes and pharisees, who were the “experts” of trying to keep the law of Moses. Obviously, the law could not produce the righteousness it in itself demanded. On the contrary, the law produced a self-righteousness and hardness in the hearts of those who most eagerly tried to keep it. This self-righteousness and hardness of heart was obviously more offensive to Jesus than what was in the hearts of people who openly lived in sin without trying to be hypocritical about it. Thereby one could argue that the most lawless people were… not the prostitutes nor the publicans, but the legalists! Is the law of Moses necessary for us to avoid sin? Consider Joseph during his time in captivity. When Potiphar’s wife tried to seduce him, he refrained from sleeping with her because he knew that doing so would have been sinning – not only against Potiphar, but also against God! Note that this took place before the law of Moses had been given on mount Sinai. The 10 commandments, including “Thou shall not commit adultery” and “Thou shall not covet thy neighbor’s wife”, did not yet exist. What was it that gave Joseph the strength to overcome this temptation at a moment when he, from a human point of view, had every right to be angry with God because of the suffering he had gone through? What was if that made him understand that sleeping with Potiphar’s wife would have been a sin, although there was no commandment saying “Thous shalt not sleep with thy neighbor’s wife”? What refrained him? Without question his close love-relationship with God. 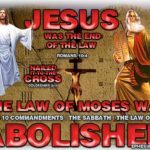 The fact that we today, in the new covenant, are not living under the law of Moses, does not mean we are “lawless”, or without any law whatsoever. God himself has written his own law in our hearts, and Jesus gave us a new commandment which is applicable for us who are believers in the new covenant; the commandment of love, also called the “law of Christ” (Gal. 6:2). 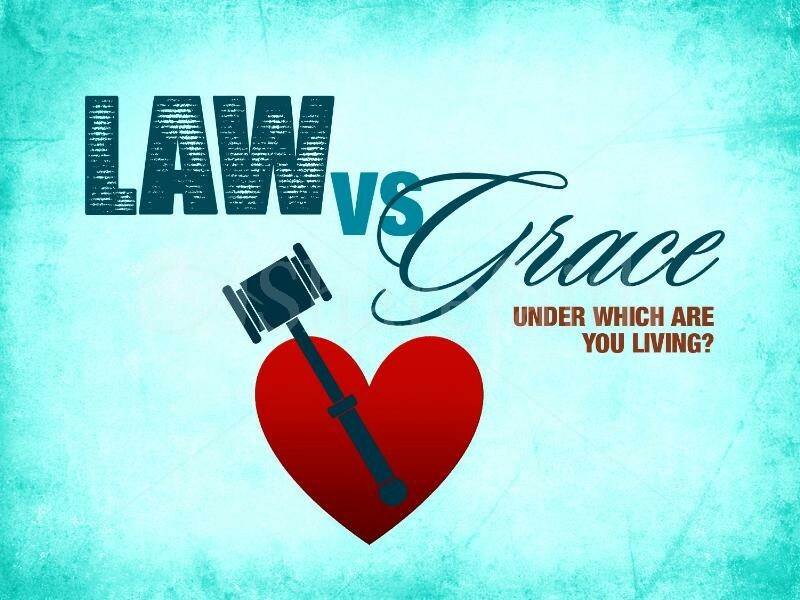 The new covenant believer has a new heart and lives under the law of love, and is thus not lawless! If we walk in love we will not live a life of sin. Love is the fulfillment of the law (Gal. 5:14). Note that we are to love others as Christ has loved us. The starting point of us walking and acting in love is thus that we get a revelation of God’s great and unconditional love for us!